Super security for your bike! The K-9 Folding Lock by OnGuard, the recognized champion of security locks, will keep your treasured bike free from theft. 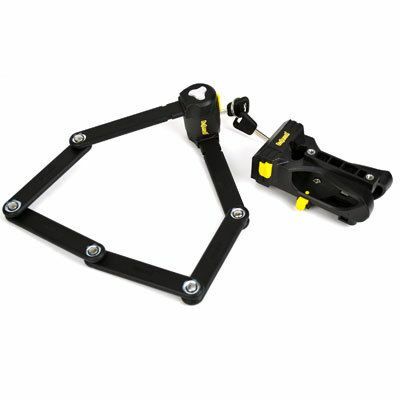 Made out of heavy-duty steel plate links and a “pick, pull, and drill-proof cylinder”, the K-9 will ensure your bike it waiting for you where you leave it! An included mounting bracket and unique folding design of the lock, make it compact and easy to secure on your bike, and it’s long enough to secure both your frame and wheels. A fantastic find for cycling TrailblazerGirls!